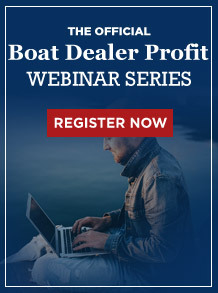 Sell More Boats at Higher Margins & Save Time with a PROVEN Marketing & Sales Training System for Your Boat Business with A COMPLETELY DIFFERENT APPROACH TO BOAT SALES AND MARKETING TO SELL TODAY’S HYPER INFORMED, SKEPTICAL AND FEARFUL BOAT BUYERS. This BASIC system is for honest & ethical dealers looking to keep their investment low (or who want to see what this is all about before upgrading to a higher level involvement). If you are willing to invest for SPEED, this program could be the right option for you. 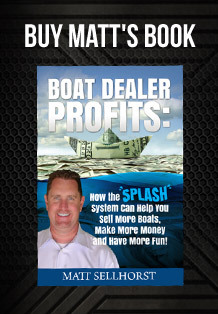 Sell More Boats at Higher Margins & Save Time with a PROVEN Selling System Installed in Your Boat Business in Just 3 Days with A COMPLETELY DIFFERENT APPROACH TO BOAT SALES AND MARKETING TO SELL TODAY’S HYPER INFORMED, SKEPTICAL AND FEARFUL BOAT BUYERS. 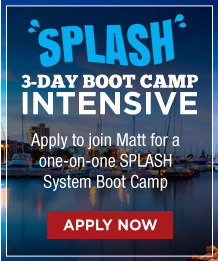 During this 3-day intensive, Matt and your team put their heads down and get to work installing the proven SPLASH System in your honest and ethical boat dealership! WARNING: This program requires a significant investment and is not for all dealers! 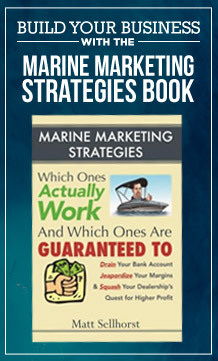 The only business building book for boat dealership owners.If you own a boat dealership, this is a must have. 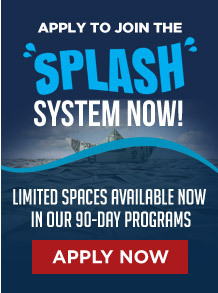 Discover how the SPLASH System™ can help you sell more boats, make more money and have more fun! 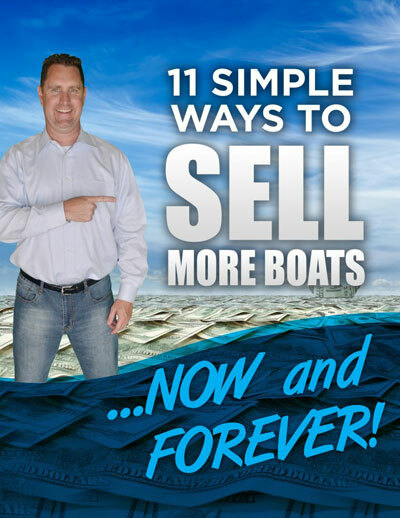 Plus receive 3 special bonuses just for buying here at Boat Dealer Profits instead of Barnes and Noble or other book sellers. 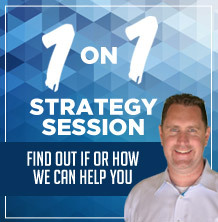 If you’re intrigued with the SPLASH System and the tactics and strategies you’ve read about other dealers benefiting from on this site but not sure if it’s right for you?Check out one of the many webinars we offer (most for free) in our webinar series. Click here to see which webinars are currently available. 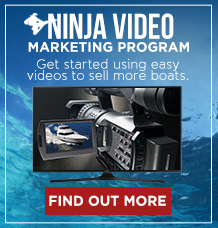 (Can we lead this to a page of Webinars offered) starting with “How to Sell More Boats with Cheap and Easy Online Video”& “The 7 ½ Steps to Selling More Boats at Higher Margins"
"Start Taking Advantage of YouTube to Drive Traffic, Build Your Brand, Generate Leads and Boost Your Boat Sales" Dear motivated boat professional, I’m going to show you how to drive floods of traffic to your sales team, your website and your showroom floor. Did you know that video views are 64% more likely to make a purchase? Not Sure if These Strategies Are For You? Let's Get on the Phone and Talk About Your Boat Business and Find Out if or How We Can Help.